Begin by gathering your ingredients, and preheat your indoor or outdoor grill to medium-high. 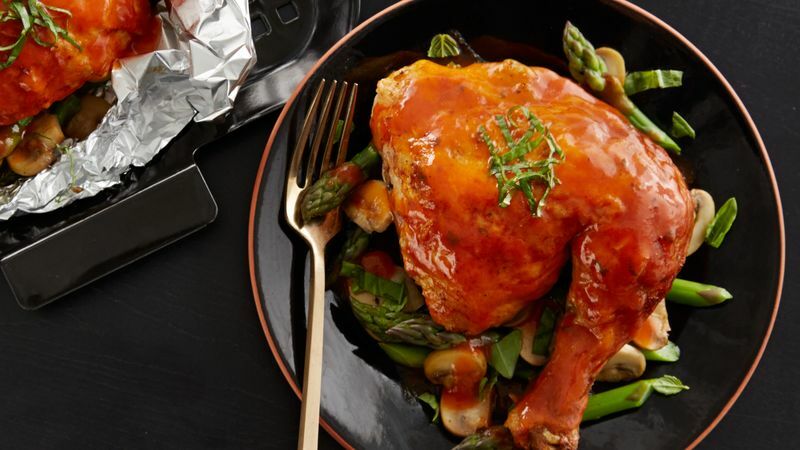 Divide the chicken pieces between 4 foil packets. 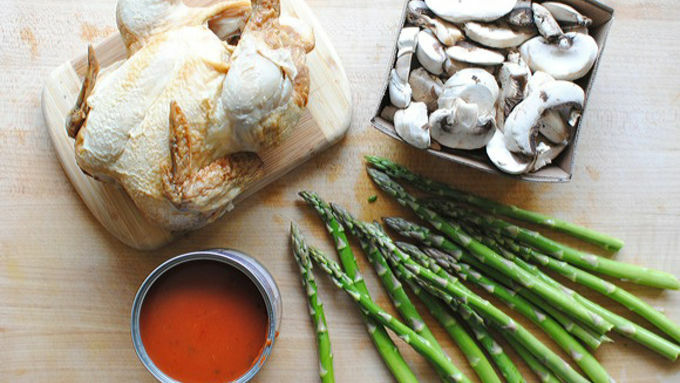 Evenly divide the asparagus pieces and sliced mushrooms over the packets. Spoon a good 4 tbsp. of soup (or more!) over each packet. 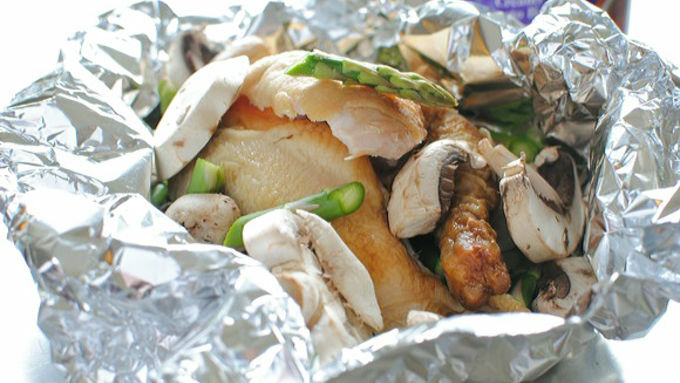 Fold up the foil packets and place them on the grill for 15 - 20 minutes or until thickest pieces of chicken reach at least 165°F. 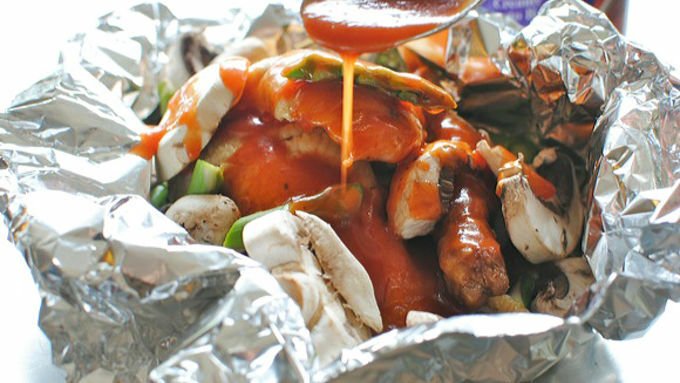 Remove from the grill and serve the foil packets immediately! 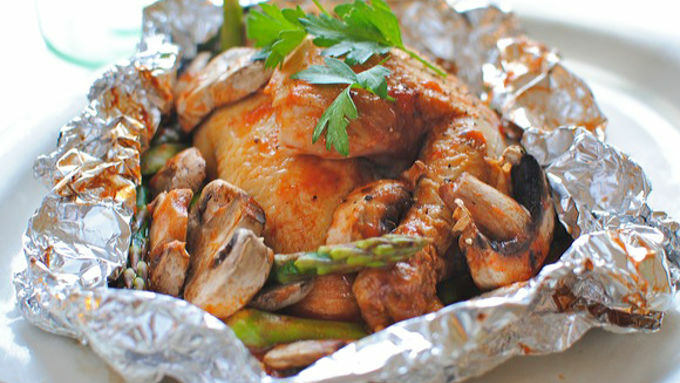 You can eat straight from the foil, or transfer contents onto a plate. Garnish with fresh parsley or basil if desired. I don't really want you to die, but this chicken foil packet is gonna have you flirting with it. Scene: It's at the end of a work day. Or any day. You're exhausted. Your kids are cranky. Your spouse is crankier. Your limbs are hanging on by a strand of dentil floss. You're starving. Your kids are starving. Your spouse is starving-er. You're this close to eating grout sealer with a swig of polyurethane. Your kids are this close to eating Play-Doh with a swig of Elmer's glue. Your spouse is this close to….well, I don't want to stress you out, but don't look in the dumpster. 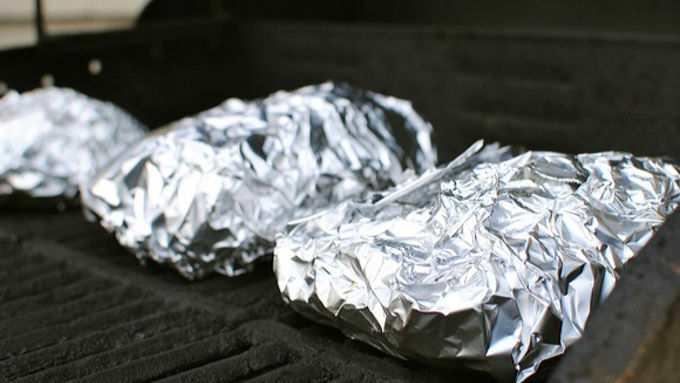 Solution: Foil packets on the grill! Ohhhh, but not just any foil packets, my little birds. This is all about shortcut city, so that you can save the lives of your loved ones before they resort to cannibalism. Rotisserie chicken, Progresso soup and a couple of veggies and that. is. all. you. need. And love. You do need some love in there too. HEY THE BEATLES DO NOT LIE. Try these. I'm so serious. Before I lose it. DO EET.